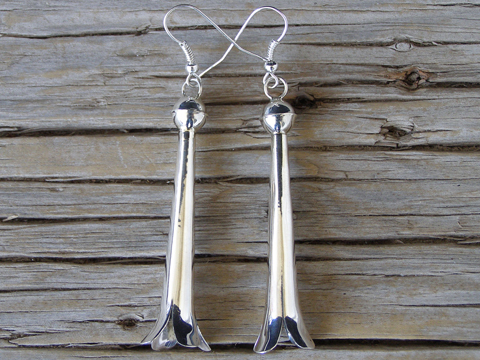 These long squash blossom earrings by Navajo silversmith Doris Smallcanyon swing freely from hooks. Classic, but always in short supply, these are polished to a lustrous finish. Length of squash blossoms (excluding jump ring): 2 1/8"